The One of a Kind art show at The Mart is just in time for Mother’s Day. 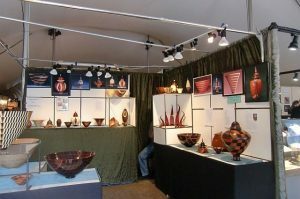 Held winter and spring, it features about 300 booths ranging from gourmet foods, glass art and paintings to hand crafted-furniture, jewelry and fiber art. One Of a Kind Spring Show is April 26-28 at The (Merchandise) Mart, 222 Merchandise Mart Plaza at the Chicago River and Orleans Street. For tickets and other information visit One of a Kind. At Chicago’s annual Kids and Kites Festival, youngsters can bring kites or get a free kite kit to make one themselves as long as supplies last. The festival is May 4 from 10 a.m. to 4 p.m. at Cricket Hill in Lincoln Park (Lakeshore Drive between Montrose and Wilson Avenues.). The Windjammers Professional Kite Team will be there to demonstrate flying maneuvers, CircEsteem will do circus acts and Chicago Kite will be there for folks who want to buy a kite. In addition, there will be face painting, crafts and balloon artists. For more info visit Chicago.gov. Spring is not getting off to as slow a start as we think. (See Related below for earlier listings including Earth Day events). There is enough to see and do in and around Chicago for several outings. So here are more activities to add to the April Calendar. An Iceland festival is coming to a few Chicago clubs, a restaurant, theater and collaborative space during Taste of Iceland April 11-14. Presented by Iceland Naturally, the festival is a check-it-out experience of spirits, food, film and music. The events are free except a dinner at Elske but may need reservations. Elske, 1350 W. Randolph St. will do an Icelandic dinner each of the festival days. For reservations visit elskerestaurant . For more information go to Facebook/events. 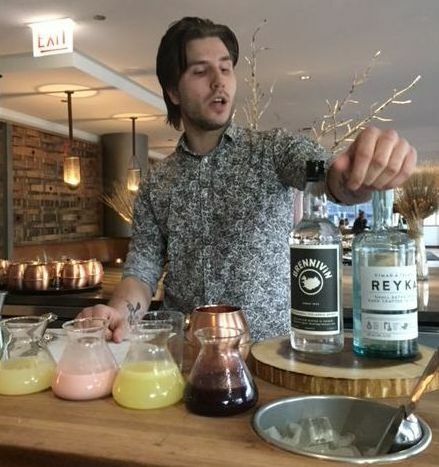 Spirits of Iceland: Cocktail Class, April 11, 6-8 p.m. at LH on 21, (Rooftop) London House Chicago, 85 E. Upper Wacker Dr., Floor 21. For more information visit Facebook LH Events/. Iceland After Dark, April 12, 10-11:30 p.m. with craft cocktails, music by Solveig Matthildur and Kaelan Mikla at The Underground Chicago, 56 W. Illinois St. For reservations go to Evenbrite. Reykjavik Calling, April 13, at Martyrs’, 3855 N. Lincoln Ave. beginning at 7 p.m. Concert at 8 p.m. Sets feature Hildur and Kaelan Mikla. Visit Facebook Event Page. Shortfish Film Screening at the Logan Theatre 2646 N. Milwaukee Ave., followed by cocktails of Brennivín and Reyka Vodka and chat with Icelandic winning bartender Tóta. Doors open at 11 a.m., the screening begins at 11:30 a.m. For more information visit this Facebook event page. The Icelandic Literature Scene, April 14, 11:30 a.m.-1 p.m. at evolveHer, 358 W. Ontario,3W to visit with Ambassador Stella Soffía Jóhannesdóttir and Words Without Border Editorial Director Susan. For more information visit this Facebook event page. Lake Forest/Lake Bluff Foodie Fair Pop-Up, April 14, 1-4 p.m. at the West Lake Forest Train Station, 911 Telegraph Rd. at Everett, Lake Forest. 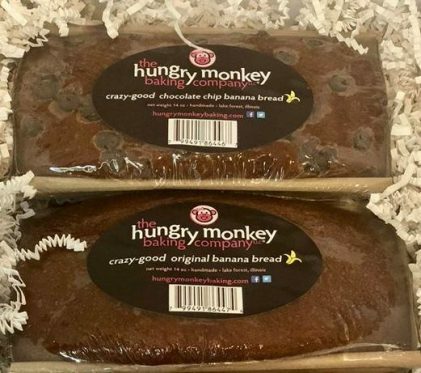 Some of the vendors are Bonique Corp, Cake My Day, Elawa Farm, Foodstuffs Lake Forest, Flowers by Katie Ford, Full Belly Foods and Hungry Monkey. Villa Park Spring Arts & Crafts Festival, April 12-14 at The Odeum , 1033 North Villa Ave. Hours: Fri. 11am-9pm; Sat. 9am-6pm; Sun. 10am-5pm. Tickets: Adults $10; Seniors $9; Children Under 10, free. For tickets and more information visit Spring Festival Tickets. Wear walking shoes because the more than 600 booths at the One of a Kind Show Chicago has taken over the 7th Floor of The Mart and they are worth investigating. 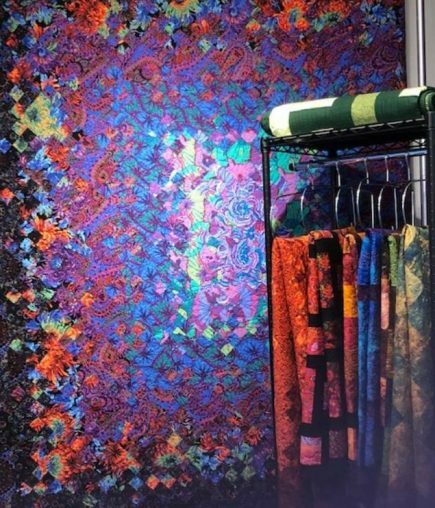 From gourmet foods along one wall to artists selling jewelry, glass, ceramics, paintings, interesting wall art, quilts, wooden objects, hats and bags, the One of a Kind Show is fulfilling holiday shoppers’ gift list. 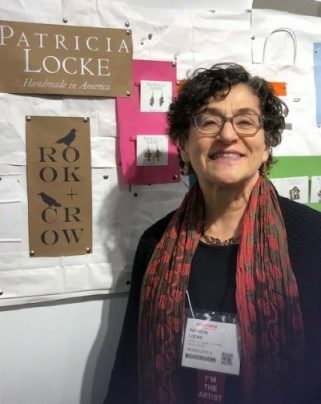 They’re also finding items for their own jewelry box, given the number of shoppers trying on earrings and necklaces at the Patricia Locke (she was there for the opening) booth during “early access” hour Thursday. BTW, The Locke booth also featured Rook + Crow jewelry, a less expensive line that didn’t go in for colored stones but was well designed. This is not a quick walk-through show. It’s a chance to chat with Midwest artists and gourmet food purveyors such as Wisconsin quilter Kathleen Johnson who brought gorgeous pieces that easily qualify as art work, Chicago multi-media artist and designer Emmy Star Brown who is also in demand as muralist and Chicago suburban artist Danuta Loane about her fine ceramics. And there are the Flaherty’s from Moline, IL to talk to about their yummy Irish Toffee and sample their hot Buttered Rum. 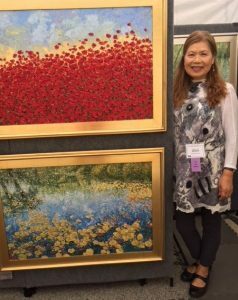 Opened Dec. 6, the show continues through Dec. 9, 2018 for holiday shopping and returns April 26-28, 2019 to start the spring-summer art fair season indoors. The Mart is on the north side of the Chicago River between Orleans and Wells Streets. For ticket, hours and other information visit One of a Kind. Once the food and fuss of Thanksgiving has been set aside in the fridge and dishwasher there should be more to holiday fun than trying brave the crowds in stores on Friday and shop on line on Monday. There is a wonderful ballet and opera that opens, an art show full of gift ideas and a zoo that becomes magical on the weekends. Find gifts at the One of a Kind Show at the Mart. 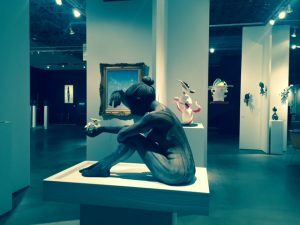 Artists bring their sculptures, paintings, jewelry, ceramics, furniture and fashions. And vendors bring gourmet foods. The show is fun and it’s hard to leave without finding something for others or oneself. The show runs Dec.6 through 9 at Merchandise Mart, on the north side of the Chicago River bordered by Kinzie, Wells and Orleans Streets. For tickets, hours and other information visit One of a Kind Show. 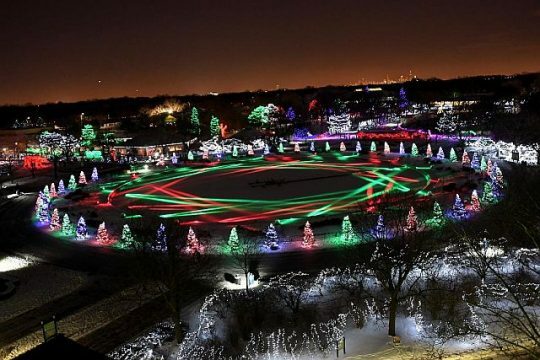 Visit Brookfield Zoo when more than a million colorful lights edgbe buildings, form larger-than-life animal shapes and line the paths – thanks to Comed and Meijer. Holiday Magic is on Saturdays and Sundays of December weekends and also Wednesday through Monday of Dec. 26-31. Tip: look for the Talking Tree and the special entertainment scheduled each weekend. Park and enter at the North Gate, 8400 31st St. (1st Avenue at 31st Street), Brookfield. For admission, hours and a complete schedule of Holiday Magic activities and entertainment call (708) 688-8000 and visit CZS Holiday Magic. Joffrey Ballet’s “The Nutcracker” and the Lyric Opera of Chicago’s “Cinderella” open Dec. 1, 2018. “The Nutcracker” runs through Dec. 30,2018 at the Auditorium Theatre of Roosevelt University on Congress Blvd. at Michigan Avenue. This is the re-imagined staging by choreographer/director Christopher Wheeldon that takes place at the 1893 World’s Fair. The music is Peter Ilyich Tchaikovsky’s famed ballet. 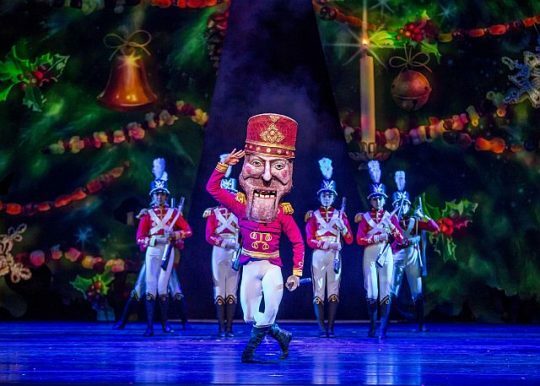 For tickets and more information visit Joffrey Nutcracker. “Cinderella,” Jules Massenet” magical “Cendrillon” comes to life with funny, wicked, charming characters and delightful arias at the Lyric Opera House at six performances from Dec. 1, 2018 to Jan. 20, 2019. For tickets and information visit Lyric Opera Cendrillon. Check out some suburban shopping areas and Chicago neighborhoods while the weather is still warm and breezy. The reward may be a painting perfect for the hall, a sculpture just right for the yard or mantle, a silk print scarf or tie to wear to a concert or a piece of jewelry to hold onto until gift giving during the holidays. Here are some art fairs that are a good excuse to get outdoors. Art at the Glen features 185 artists in the Glen Tower Center. Hours: 10 am – 5 pm. For more info see Amdur Productions. 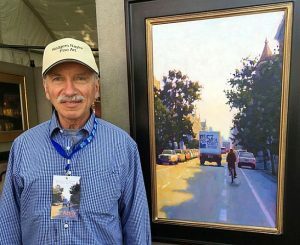 About 120 artists participate in the annual Lincolnshire Art Festival held on the Village Green in north suburban Lincolnshire. Hours are 10 am – 5 pm. For more info see Amdur Productions. 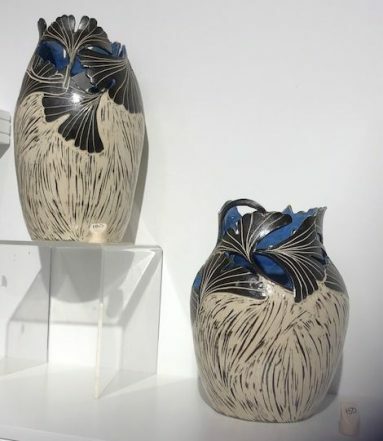 On the western edge of Chicago look for more than 130 exhibitors at the annual Oak Park Avenue-Lake Arts & Crafts Show in Scoville Park at Oak Park Avenue and Lake Street. Hours: Saturday 11 am – 7 pm , Sunday 9 am – 5 pm. For more info see American Society of Artists. 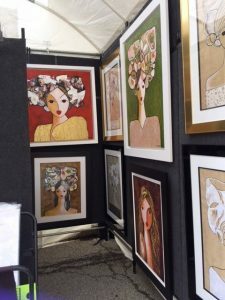 The Port Clinton Art Festival, among the Midwest’s best art fairs, sprawls across First and Second Streets and the Port Clinton Plaza on Central Avenue as it showcases about 265 artists from across the globe. For more info see Amdur Productions. Sometimes it’s nice to know that an artist whose work you admired at one art fair will also be showing at others during the summer so you get another chance to pick up a piece you liked. 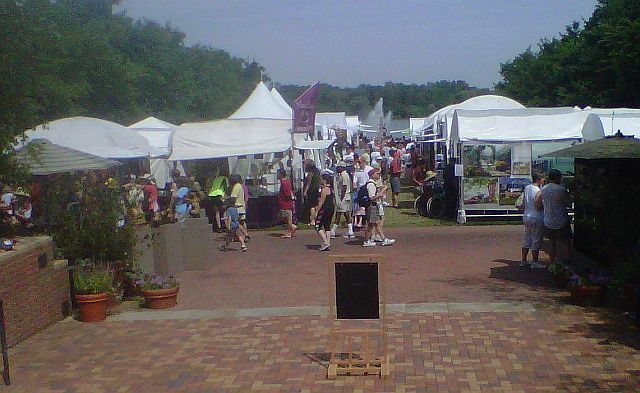 Such is true if attending the Chicago Botanic Garden Art Festival. When paintings, sculptures and other art fill the garden’s Esplande area June 30-July 1, visitors can view works by some of the same fine artists who exhibited downtown Highland Park in The Art Center’s Festival of Fine Arts June 23-24, including that of Kwang Cha Brown and Roy and Vivian Rodriguez. The art festival runs from 10 a.m. to 5 p.m. both days. The Chicago Botanic Garden, 1000 Lake Cook Rd., Glencoe, is a great summer destination. 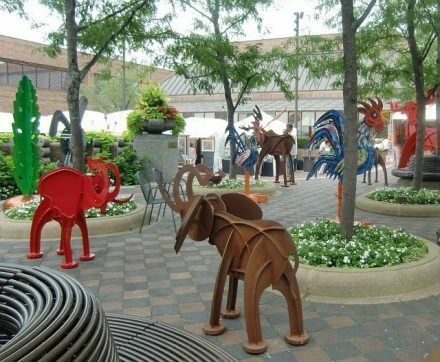 The works of Roy and Vivian Rodriguez can be seen at several Chicago area art festivals. 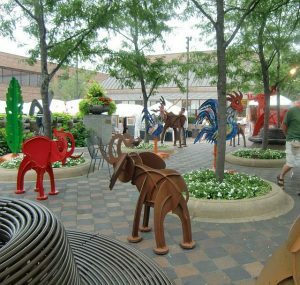 If downtown Chicago this weekend, check out the art festival on Michigan Avenue at Lake Street. Hours: Firday 11 a.m.-6 p.m., Saturday, 10 a.m.-6 p.m. and Sunday6 10 a.m.-5 p.m.. For more information visit Amdur Productions. Visit the Southport neighb orhood to stroll the art booths on Southport Avenue from Waveland Avenue to Grace Street. Hours: Saturday 10 a.m.-7 p.m. and Sunday 10 a.m.-5 p.m.. For more information visit Star Events. Travel west of chicago to Geneva, a charming, historic town of good restaurants and boutiques to see art downtown centered at Third Street. Hours: 10 a.m.-5 p.m. both days. For more information visit EmEvents. Or go north to the lake shore suburb of Glencoe where the booths will also line the downtown centered at Vernon and Park Streets. Hours: 10 a.m.-5 p.m. both days. For more information visit Amdur Productions. 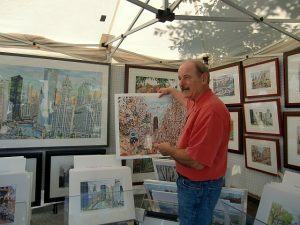 I first attended the 57th Street Art Fair when I was a young teen going to high school in the area. Back then I remember a lot of hippie types selling pottery and turquoise jewelry. I still have a pen and ink drawing I bought that year. It’s hard to imagine that in 1970 the fair was already in its 33rd year. Well here it is 48 years later and I have missed very few. My wife and I traditionally see this first major outdoor art fair of the season as our summer kick-off for all that Chicago has to offer. So that in the coming weeks you don’t have to say “oops, I forgot” or “oh, I wish I had known,” here are some fun and interesting choices of what to do now through Nov. 5, 2017. 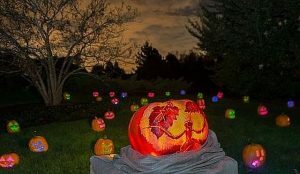 1000 jack-o’-lanterns light up Chicago Botanic Garden paths. Short story theatres are trending now in the Chicago area. (See StorySlam). Highwood, a tiny city between Highland Park and Lake Forest known for its restaurants, also hosts short story telling. Its next time is Oct. 26 when the theme is Survival. Stories are likely to be about lost wives, geese, road trips or angels. So come to Miramar Bistro at 301 Waukegan Ave. east of the North Line train tracks at 7:30 p.m. Or come earlier and eat there first. Just tell them when making a reservation that you are staying for the Short Story Theatre. Show tickets are $10 at the door, cash or check. Phone 847-433-1078. Hand-carved pumpkins line the paths Oct. 26-29 for Night of 10000 Jack-O-Lanterns. Tickets are date and time specific so get yours before you go to avoid disappointment. Times are from 6:30 to 10:30 p.m. The Chicago Botanic Garden is at 1000 Lake Cook Rd., Glencoe, east of Edens Expressway. For tickets and other information call (847) 835-5440 or visit CBGHalloween. At the Cadillac Palace Theatre, ‘Les Miserables, Cameron Mackintosh’s new production that is garnering rave reviews, closes Oct. 29. For tickets visit BroadwayinChicago. Then, School of Rock’ an exuberant show with new songs by Andrew Lloyd Webber opens Nov. 1. For tickets and other information visit Broadway Rock. If you enjoy opera at its best know that Lyric Opera of Chicago has openings, closings and reviews similar to many downtown shows. 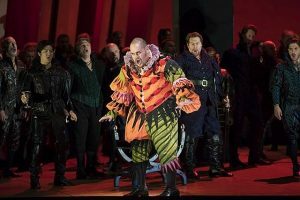 Verdi’s ‘Rigoletto’ that also received rave reviews, has only three performances left: Oct. 26, Oct. 30 and Nov. 3. Wagner’s next Ring cycle opera, ‘Die Walküre,’ opens Nov. 1. For tickets and other information visit Lyric Opera. Visit more than restaurants and other businesses in Lincoln Square for the semi-annual Ravenswood Wine Stroll. Nov. 2 from 6:30 to 9:30 p.m. Tickets are $45 and are for one of five different routes: three in Lincoln Square and two in Ravenswood. For tickets and route information see Lincoln Square Wine Stroll. Winnetka Community House’s famed Antiques + Modernism show runs Nov. 3-5 with an evening, first peek party Nov. 2. Because it’s a 60-year-old nationally known event, dealers bring their fine antiques and excellent mid-last-century modernism jewelry and furniture. For ticket and other information visit Winnetka Show. SOFA shows off really fine pieces for the home and office. 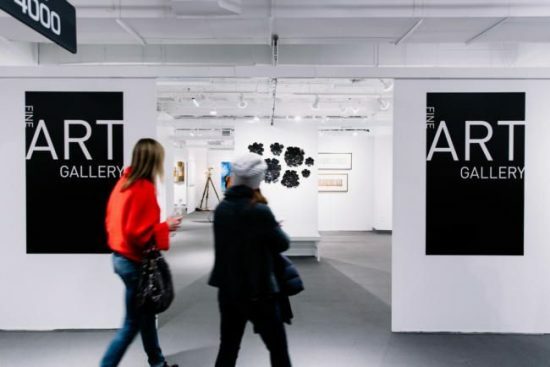 Known as SOFA for bringing together Sculpture Objects Fine Art plus Design, the annual Chicago event is back at Navy Pier Nov. 2-5. Go upstairs to the Festival Hall to see what the international galleries say are trending now in the art world. For tickets and other information visit SOFA.